Our Designers pick 6 Yarns that are Great to use for a Super Scarf, this seasons biggest stitch trend! Learn more, get free patterns and tutorials here. When thinking of tartan, the obvious choice of yarn is a beautifully soft wool, spun in a variety of shades. Patons Shetland Chunky plays into the classic feel of the super scarf, while still remaining firmly in the 21st century. Tweed shades were important when choosing a yarn for this scarf and the chunky gauge offered by Shetland Chunky means that stitching is fast and texture is highlighted. The traditional tartan/plaid look and tweed is a big trend for 2016/17 season, and will remain a classic in the years to come. Get the free pattern here. 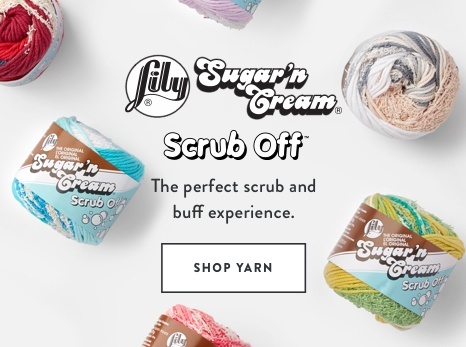 When planning the Rib Check Knit Super Scarfour designers wanted a big, chunky yarn to exaggerate the simple knit-purl texture. Bernat Wool Up Bulky is a heavy gauge, but still lightweight and lofty – perfect to create an oversized scarf without oversized weight! Get the free pattern here. Our Designers chose Classic Wool Roving for the Honeycomb Twist Super Scarf to create a cable scarf in a quicker to knit gauge than a traditional cable sweater, but still keeping the warm and lightweight qualities of 100% wool. Roving is a unique type yarn, offering a really clean finished project with beautiful stitch definition, perfect for cabling! Get the free pattern here. In order to create a marled look holding two strands of yarn together, our designers chose finer gauge worsted yarn to avoid creating too much bulk.Patons Classic Wool Worsted is the perfect gauge to double strand with a lightness that won’t stretch the cushy brioche stitch used in this scarf. Try double stranding with a color palette of your choice to create a scarf that’s unique! Get the free pattern here. Caron Simply Soft is a great choice for its light, drapey look. It’s so light, you can wear a Super Scarf for fall without the bulk of a thicker yarn for the colder months. Featuring a subtle sheen that will catch your eye in the fall sunlight, the impressive shade range and versatility will make this a go to yarn for your Super Scarf projects. Get the free pattern here. Bernat Roving was chosen for its soft yet bulky features. 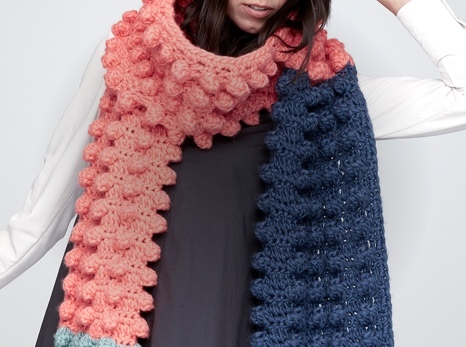 It allows you to get the ultimate super scarf look with quick and cozy stitch-work. 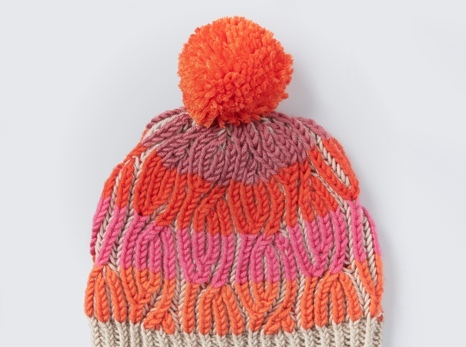 Another reason we chose this yarn was for a wide range of vibrant colours and the undeniable popularity of chunky yarn. Get the free pattern here. Check out Bhooked’s Comfy Chevron Crochet Super Scarf pattern and learn how to make this great scarf featuring Patons Alpaca Blend! A great way to make a pattern feel like new is to change the color scheme, giving the project a totally different look and feel!